Revolution Slider Error: Slider with alias reservations not found. This national holiday is celebrated in Mexico on the third Monday in March, as enshrined in Article 74 of the Mexican labour law. 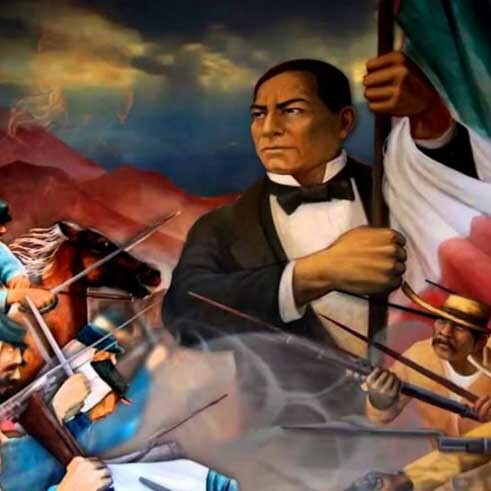 This public holiday celebrates the Birthday of Benito Juárez, a 19th century president and statesman who stood against the French intervention in Mexico. Born on 21 March 1806, Benito Juárez is today remembered as a reformer dedicated to democracy, reducing the influence of the Catholic Church in Mexican politics, campaigning for equal rights for indigenous peoples and promoting the defence of national sovereignty. He became the 26th President of Mexico, holding office from 15 January 1858 until 18 July 1872. Benito Juárez lived during one of the most important and tumultuous periods of Mexican history, considered by many historians as the consolidation of the nation as a republic. Juárez marked a watershed in the nation’s history, being a premier figure in this time. Indeed, the period of his leadership is known in Mexican history as ‘La Reforma’ (the reform), and marked a political and social revolution with major constitutional consequences.